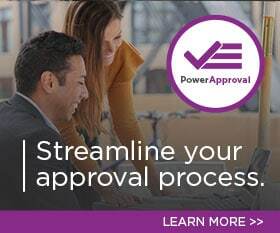 PowerObjects—a leader in delivering Microsoft Dynamics CRM solutions through unparalleled offerings of service, support, education, and add-ons—has announced that all of their PowerPack CRM add-ons are now compatible with Microsoft Dynamics CRM 2013. This announcement comes following the launch of the new 2013 version of Microsoft Dynamics CRM, which includes new enhancements and advancements that improve user experience and clarify business processes. PowerObjects has eighteen PowerPack CRM add-ons that are designed to enhance the capabilities of Microsoft Dynamics CRM in areas such as sales and marketing, while providing even greater functionality and efficiency. Over 50,000 total users from over 780 organizations around the world subscribe to PowerPack features. In the coming months, PowerObjects will be releasing a second round of PowerPack versions optimized for CRM 2013 that will simulate the 2013 look and feel. The first 2013-optimized PowerPack add-on available is PowerGlobalSearch. Those interested can download a free 30-day trial of any of the PowerPack add-ons from the PowerObjects website. Additional questions can be sent to the PowerPack Pros at: powerpackpro@hcl.com.